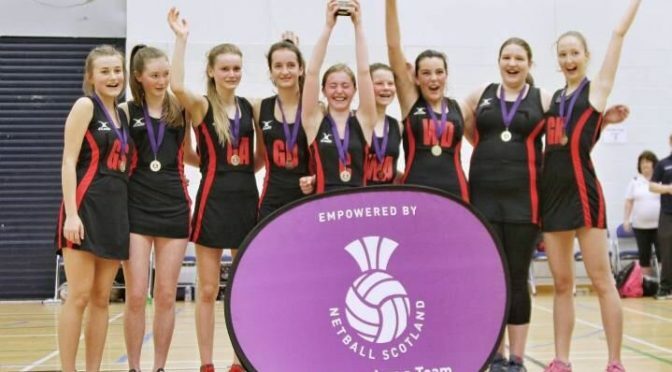 The NBHS S3 netball team is celebrating after winning the Scottish Schools Gold Cup. This is the second time the girls have lifted the cup, having also won as S1s in 2017. 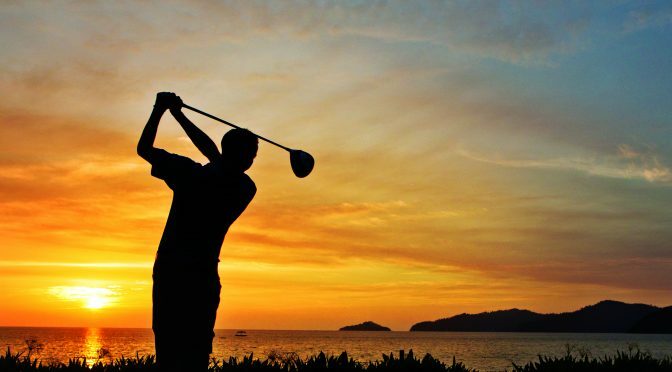 The girls started their campaign in October and have remained unbeaten throughout the competition. They topped the group stage, sending them directly into the Gold stream. 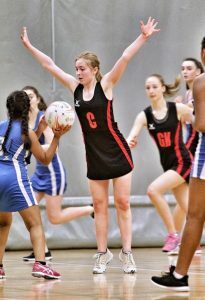 NBHS then went on to beat Glasgow Gaelic School 55:25 at home in the 3rd round, before being drawn in a difficult fixture away to Peebles – last year’s cup holders – in the next round, a challenge which the girls took in their stride, winning 44:32. 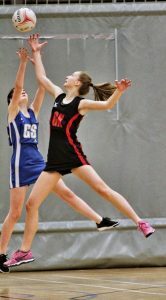 The semi-final was against last year’s losing finalists Douglas Ewart High School, and again the girls comfortably took victory 45:30 which put them into the finals against Holyrood High School – the team which knocked them out last year. Once the girls took to the court at the finals it was clear they were in it to win it. Holyrood fought till the very end but NBHS was too strong and the final score was an emphatic 50:22. Another fantastic achievement – congratulations girls! Team: Sophie Hetherington, Lois Turnbull, Katie Lennock (c), Grace Tremlett, Annabelle Conroy, Keira Maynard, Ellen Maslen, Marcia Callander and Ella Malaika Spring. 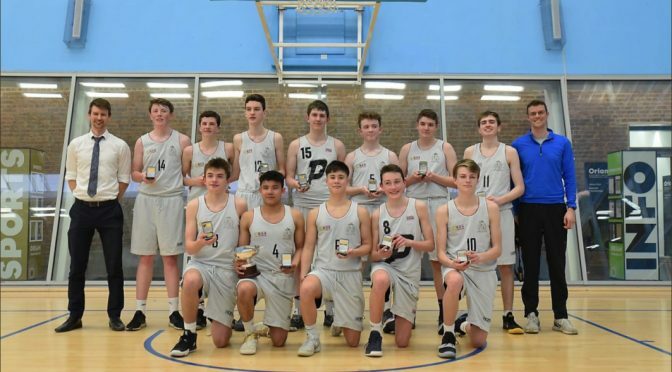 The NBHS senior boys’ basketball team beat Falkirk High School 88-54 on Tuesday to win the Basketball Scotland Schools Open Boys Cup Final for the first time in the school’s history. The game, played at the Oriam in Edinburgh, started slightly nervously for North Berwick, with Falkirk taking a 10-2 lead early on. However, the team quickly adjusted to the Falkirk defence and finished the first quarter up 15-12. From then on NBHS dominated, taking a 42-26 lead into half time and seeing out the second half comfortably. It was an impressive performance from the whole squad, with everyone getting playing time, and there were stand-out games from Owen Mackle, Finn Baxter and Shaun Samson. 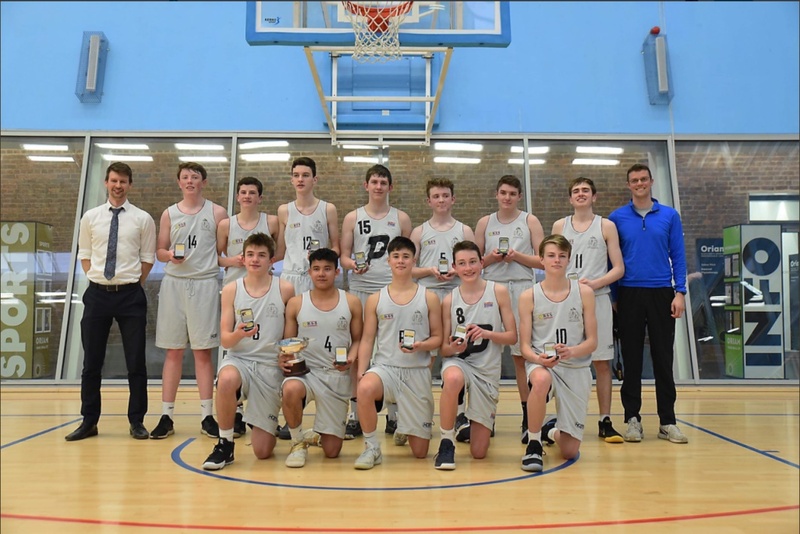 It was also a fitting end to the school basketball careers of S6 pupils David Crowley and Ciaran McSherry, who have both been an integral part of the school team for the last six years. The team conducted themselves impeccably throughout the season, and were a real credit to the school. With the majority of the team returning next year, the future is looking bright for NBHS basketball.